San Diego city workers spent Monday cleaning up damage and debris left behind by a powerful weekend storm. City crews are calling it "Storm Condition B" – an official name for the cleanup after a major storm. The focus is not only on debris left on the roads but also cleaning out storm drains for leaves and other debris washed away by two days of on-and-off rain showers. 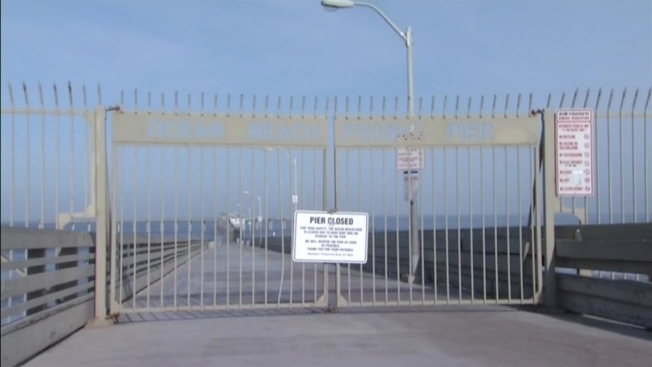 The Ocean Beach Pier was closed after suffering some damage along the railings on the pier’s south side. 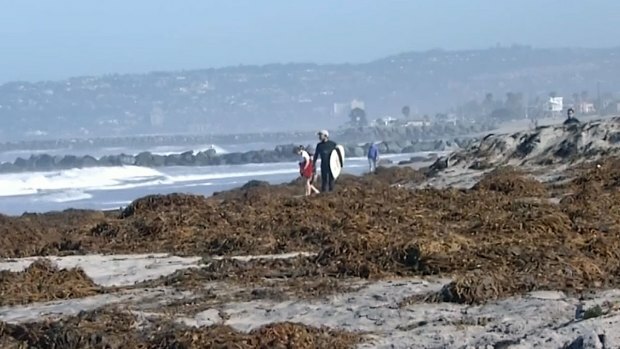 NBC 7's Elena Gomez reports on the cleanup from the weekend storms at San Diego parks and beaches. OB resident Ed Gunn said he runs the pier every morning and noticed the closure on Sunday. “Everyone was just standing there watching the waves go over pier. It was nuts,” Gunn said. 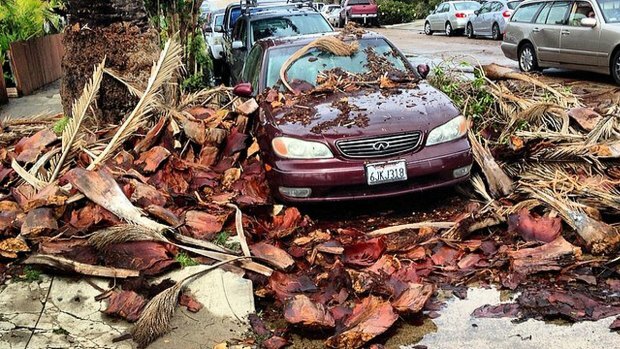 A sign at Shades Oceanfront Bistro was knocked down by the heavy winds and some residents sent NBC 7 images of cars covered by dropping palm fronds. The morning after, locals say they’re grateful for the rain even if it was inconvenient. “I’ve been stuck in my house for a couple of days in the rain. Just looking forward to a day out,” said OB resident Tyler Montgomery. “Great for sure, great for the environment, it was much needed,” said OB resident Julian Garcia. Mark Lugo pointed out that the rain will help with his monthly budget. “Much needed. It will save me a little on my water bill for my lawn,” he said. City workers will have time on their side when it comes to completing the task. NBC 7's Whitney Southwick said there is no rain in the forecast for the rest of the week.